Our neighborhood partner the German American Society is hosting this fun for all ages event. 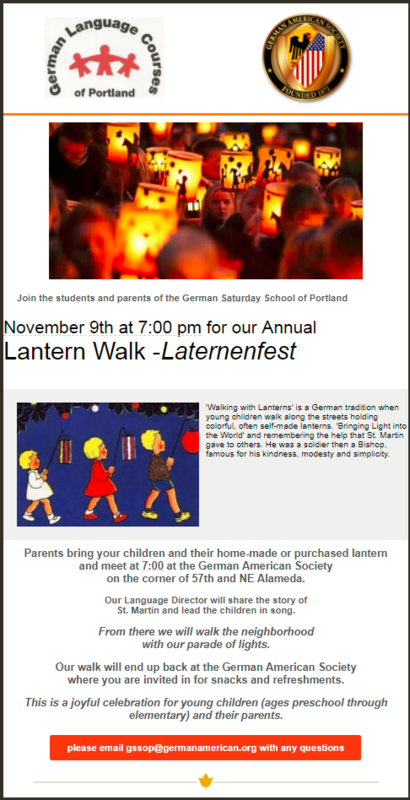 ‘Walking with Lanterns’ is a German tradition when young children walk along the streets holding colorful, often self-made lanterns. ‘Bringing Light into the World’ and remembering the help that St. Martin gave to others. He was a soldier then a Bishop, famous for his kindness, modesty and simplicity.